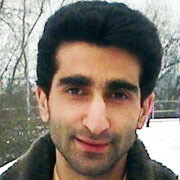 Mohammad Rahnamaeian is a Postdoctoral Research Associate, Fraunhofer IME Bioresources Project Group. Since 2009–2011 he was Assistant Professor and Official Academic Staff for Teaching and Research, Department of Plant Biotechnology, Shahid Bahonar University of Kerman, Iran. Al Souhail Q, Hiromasa Y, Rahnamaeian M, Giraldo MC, Takahashi D, Valent B, Vilcinskas A, Kanost MR (2016) Characterization and regulation of expression of an antifungal peptide from hemolymph of an insect, Manduca sexta. Developmental & Comparative Immunology, in press , 1–11. Rahnamaeian M, CytryÅ„ska M, Zdybicka-Barabas A, Vilcinskas A (2016) The functional interaction between abaecin and pore-forming peptides indicates a general mechanism of antibacterial potentiation. Peptides, 78 , 17–23. Rahnamaeian M, CytryÅ„ska M, Zdybicka-Barabas A, Dobslaff K, Wiesner J, Twyman RM, Züchner T, Sadd BM, Regoes RR, Schmidt-Hempel P, Vilcinskas A (2015) Insect antimicrobial peptides show potentiating functional interactions against Gram-negative bacteria. Proceedings of the Royal Society B, 282 (1806) , 1–10. Khastkhodaei S, Sharifi G, Salahi R, Rahnamaeian M, Moattar F (2011) Clinical efficacy of Stragol™ herbal heart drop in ischemic heart failure of stable chest angina European Journal of Integrative Medicine, 3 (3) , e201-e207. Rahnamaeian M (2011) Antimicrobial peptides: modes of mechanism, modulation of defense responses. Plant Signaling & Behavior 6(9), , 1325-1332. Rahnamaeian M, Nematzadeh Gh A, Kazemitabar SK (2007) Investigation of fragrance locus in some aromatic rice cultivars Seed and Plant Improvement Journal, 22 (4) , 443-445.